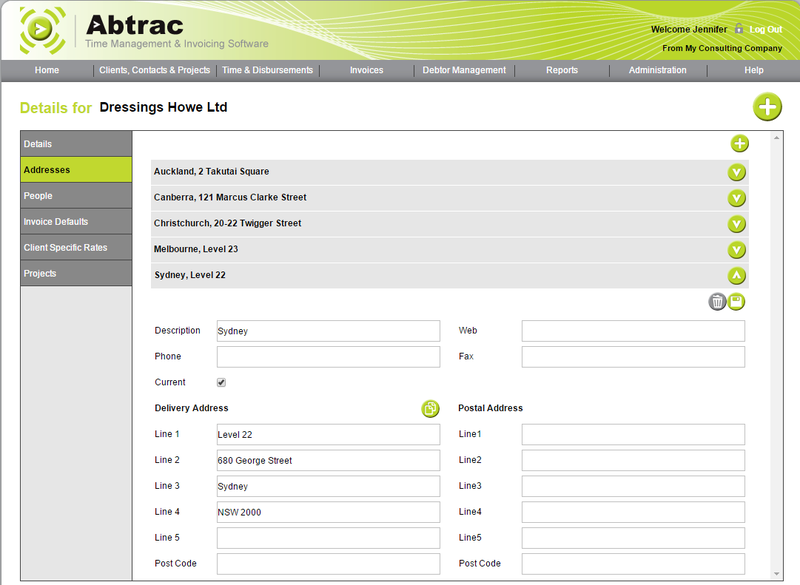 Abtrac addresses can be as simple or as flexible as required. 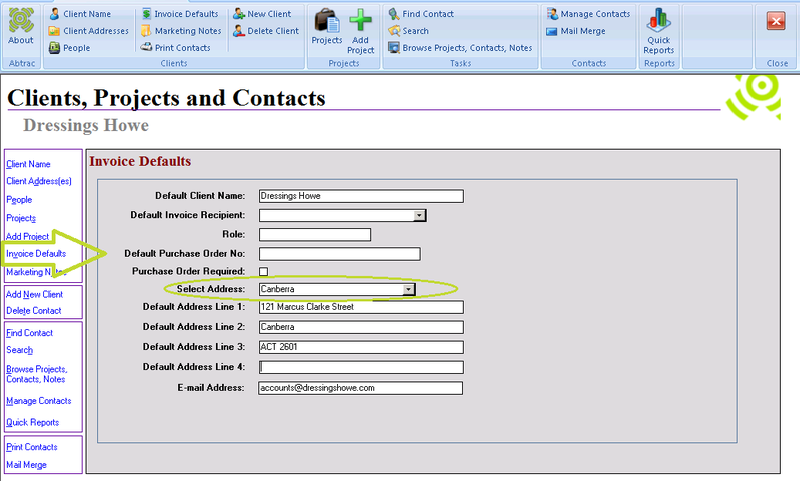 Here’s how to ensure you have the right address details in the right location for your billing requirements. 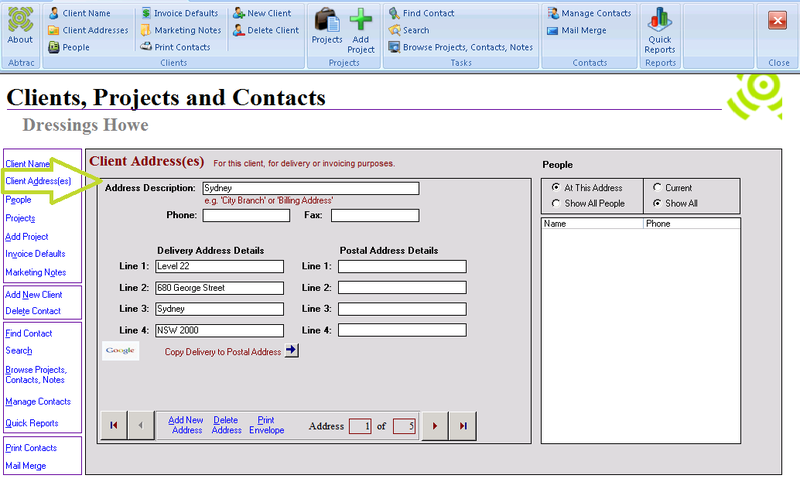 For any new invoice the address field will autofill where possible from details in Clients, Projects and Contacts. 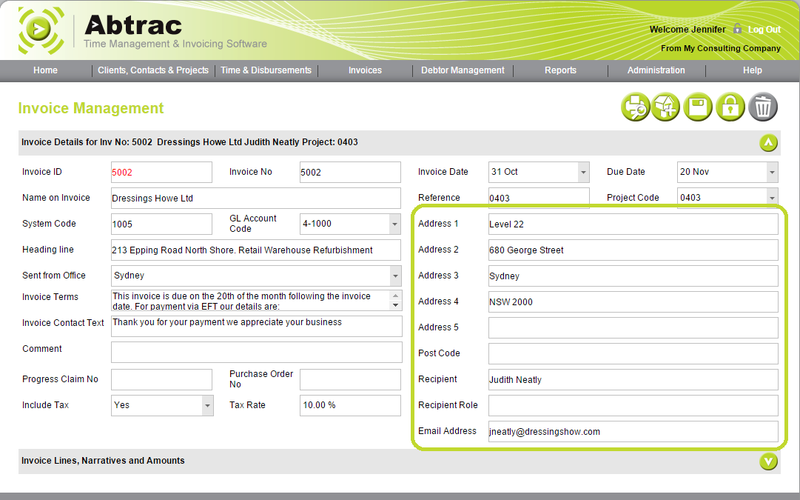 The first check is for a project billing details address, then an invoice default address. 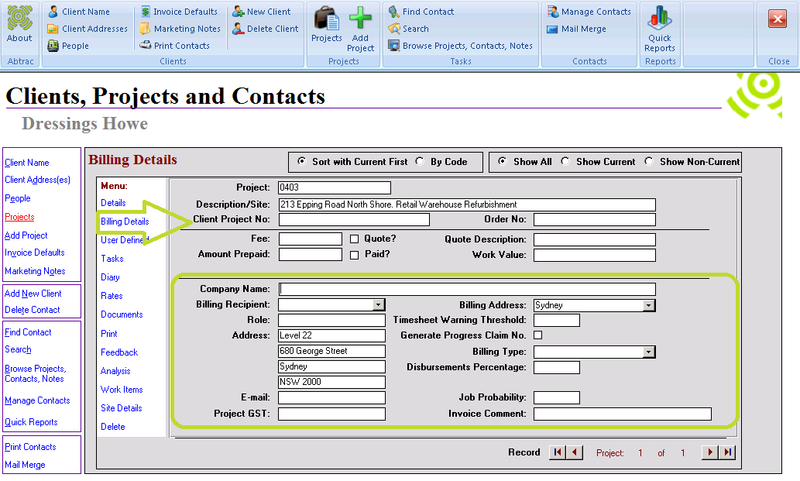 If a Client/Job has both then the project billing details will take preference. 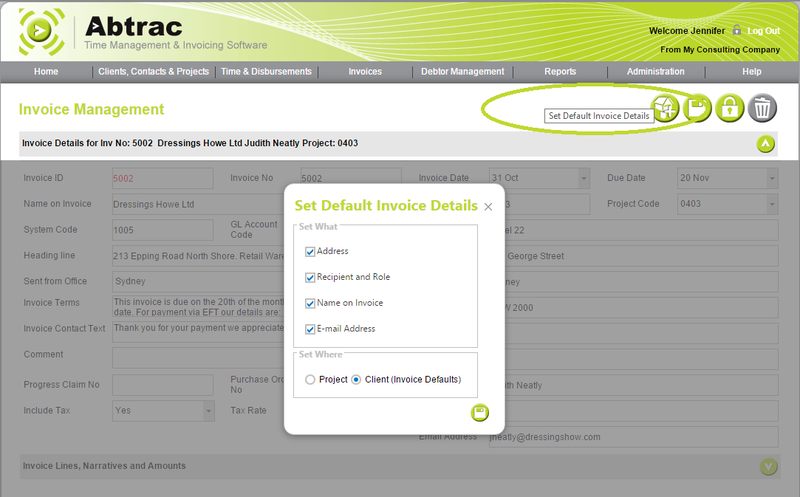 If your invoice is displaying an unexpected address it’s best to check in these two locations first. 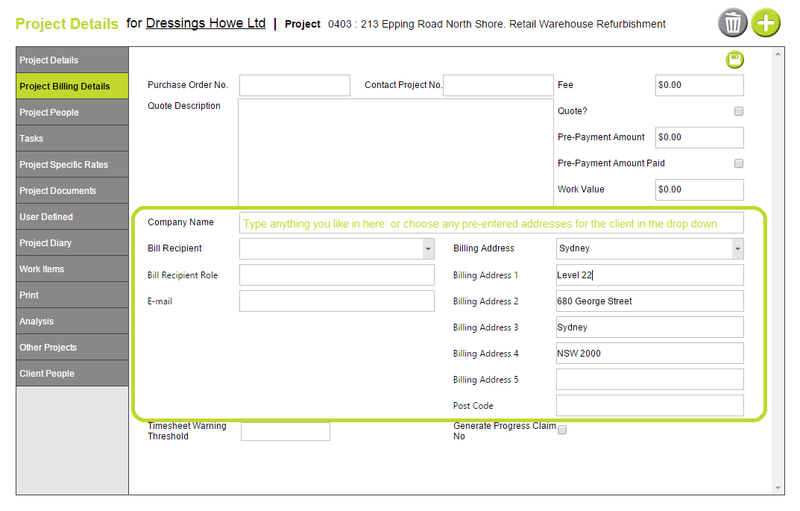 If no addresses are available, or the invoice needs to be addressed someplace else then you can simply type the address as normal on the invoice. 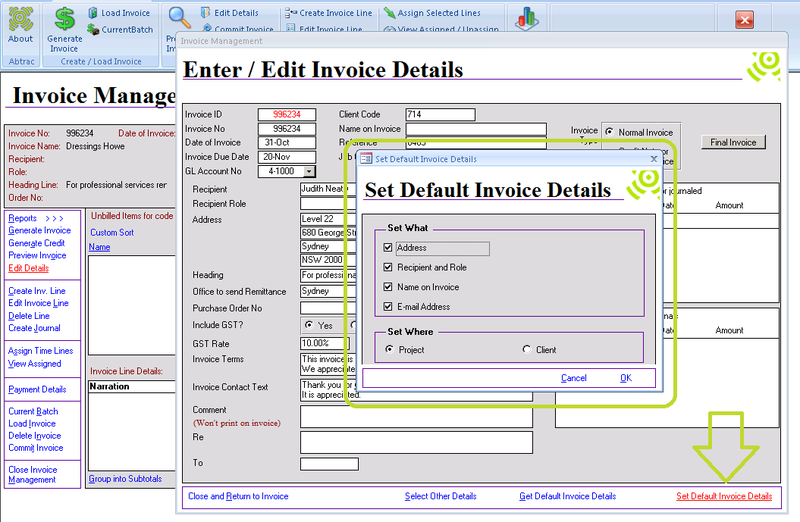 And any changes made to address details in the invoice itself can optionally be fed back to either the job or invoice default records for the client. 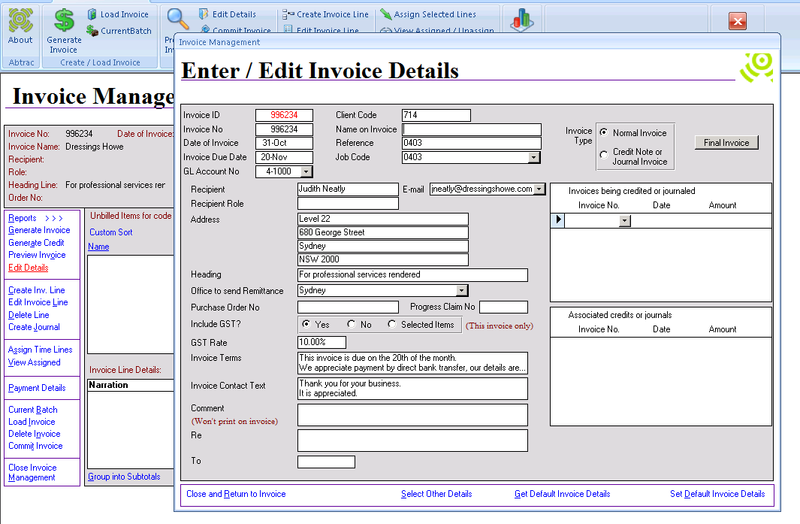 This entry was posted in Clients & Contacts, Invoice Addresses, Invoicing, Jobs & Projects and tagged Address, Billing, billing recipient, client address, invoice address, invoice defaults, job billing details, project billing details by Jen. Bookmark the permalink.